Now that Christmas is nearly upon us, I thought it would be prudent to make a list of the best mid-range graphics card (GPU’s) for Christmas 2015. Whilst everyone would love the most up to date and powerful GPU, for a lot of people, it simply isn’t an option. Also, a lot of people will never utilise the full power of the high end GPU’s so the money saved on buying one could be better spent elsewhere on the system. 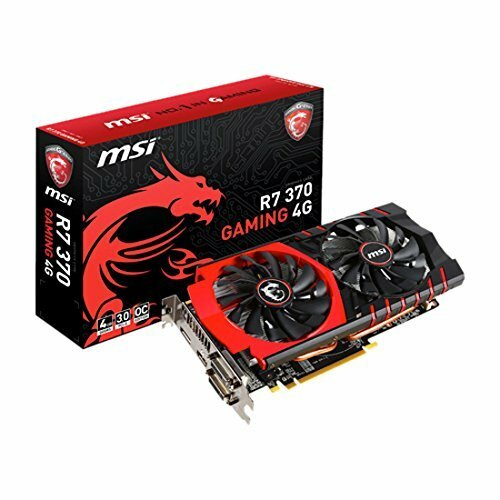 I’ve compiled a list of the various different budget and mid-range GPU’s that would make an excellent gift this Christmas (and there after too). After each suggestion, I’ve included a link to the product page on Amazon so that you can not only find the best current price of it (the price I list could become outdated very quickly), as well as giving you the chance to read reviews from other people. By reading the reviews from other people who have purchased it, it also allows you to get an idea of what kind of benchmarks you can achieve when purchasing one of the best mid-range GPUs. 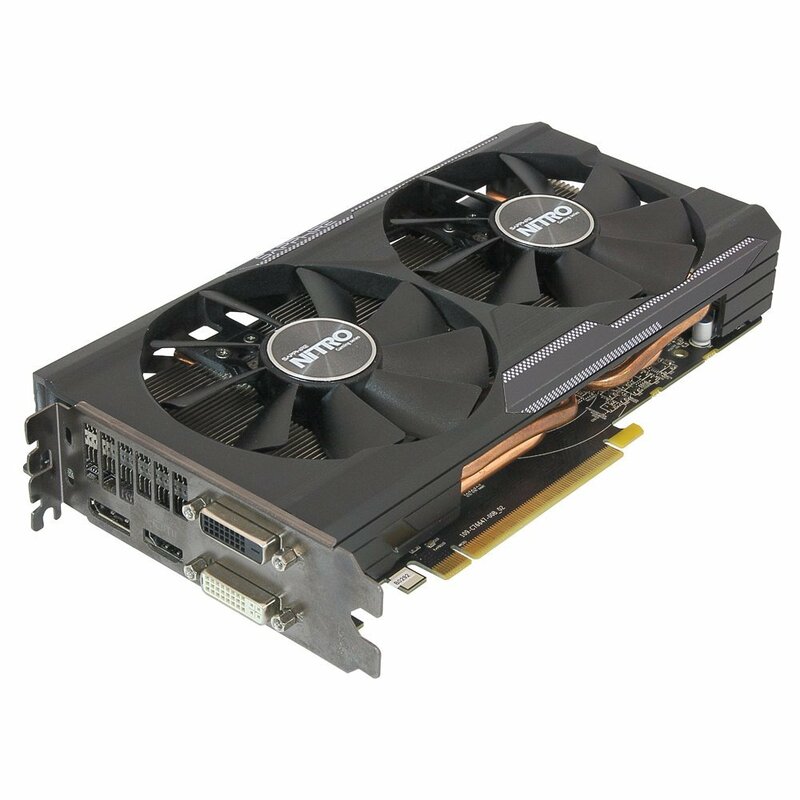 Let’s get started with one of the hot favourites on the thrifty gamers shopping list; the Nvidia GTX 750 Ti. This is an excellent little card that certainly leaves the competition in the dust at this price point. No matter who the maker of the board is, be it EVGA, Asus, MSI etc, all of the cards have 2Gb of VRAM and are PCI-E slot cards. They are all double slot cards, so you’ll need two blank ports on the back of your PC tower, however, they only use one PCI-e lane. Also, in a handy addition to this card you don’t need any additional power to it in that the card gets all of its power from the PCI-e slot on your motherboard. Again, this makes a great choice for those that are building or upgrading a small form factor rig. To read the USA reviews of the GPU, click here. UK link If you’re in the UK, cou can read all the reviews for this card here or if you’re in Canada, you can read the reviews and get the best price here. 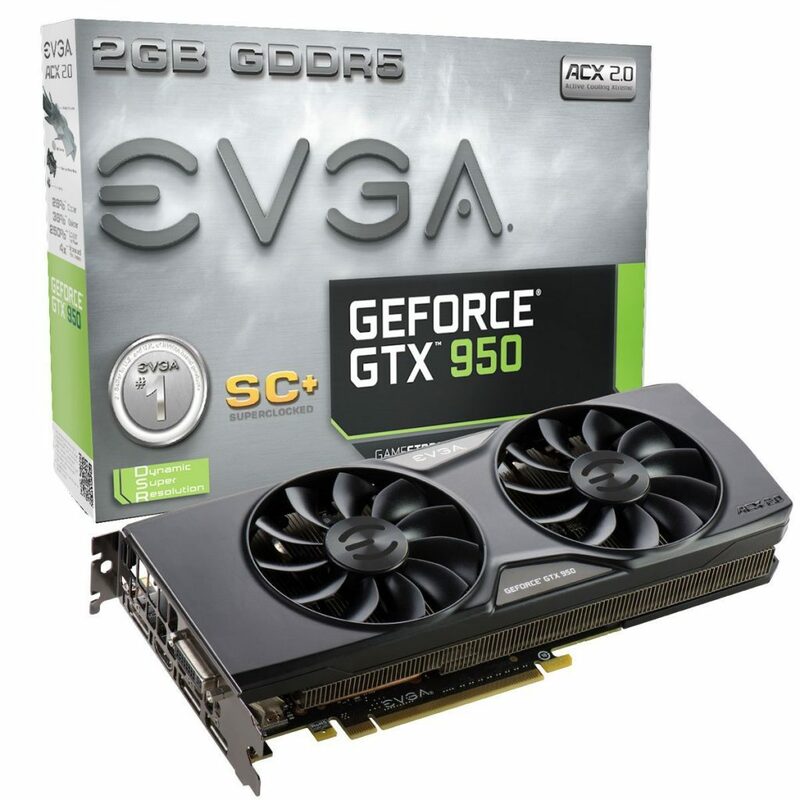 Sticking with Nvidia, EVGA have managed to create an astounding double slot mid range beast of a card in the guise of the GTX 950. Whilst there are other manufacturers like Asus and MSI that also produce their own variants of this GPU, EVGA have superclocked their variant to the max, with it getting a base speed of the GPU at 1190MHz. Oh, and for added peace of mind, it also has two fans on it to prevent your card from cooking itself. With this card and medium to high settings at full HD resolution, you’re looking at acheiveing 40-45fps in your games helped in part thanks to the 2GB of GDDR5 Ram that it’s packing. Be sure to check out the reviews for this card though. If you’re in the USA, you can read about the reviews here. If you live in the UK, you can read them here and if you’re in Canada you can read the reviews at this link. 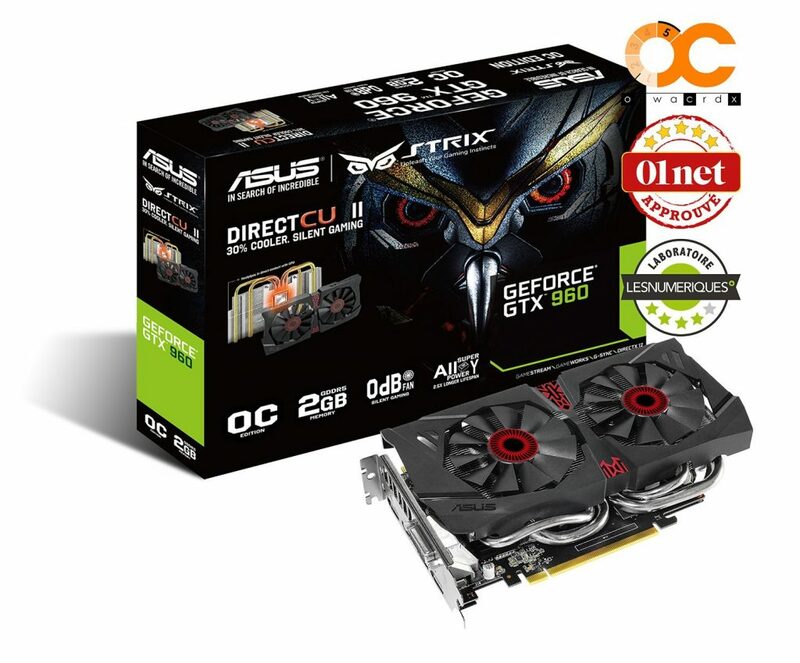 If you afford to stump up an extra bit of cash, then the Asus Strix GTX960 will give a nice performance boost for the minimal increase in outlay. This proudly tops off the list Nvidia portion of the best mid-range GPU’s. 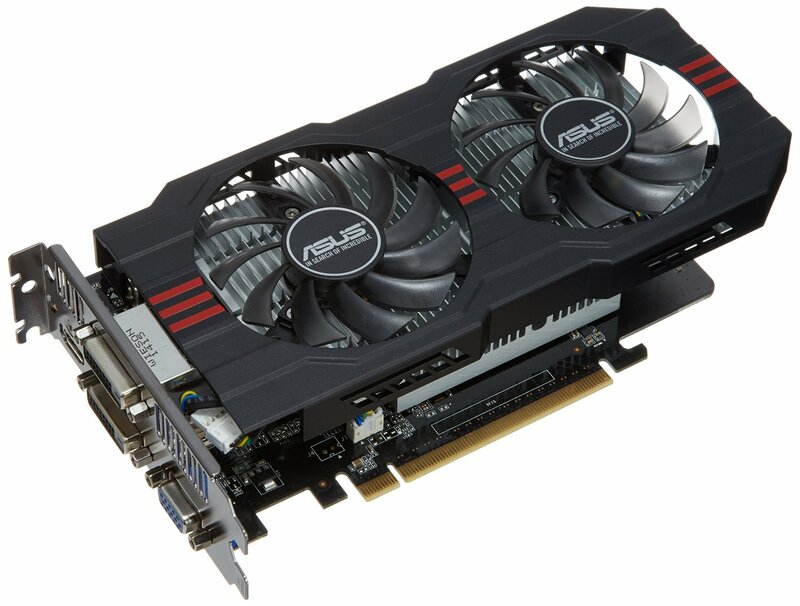 As with the GTX 950, the 960 Strix from Asus has 2GB of GDDR5 RAM. Even better, Asus have overclocked the chip before it even ships out to you so you’re already getting a great performance boost to the unit. Also, it packs the highly impressive DirectCU II fan and cooling system. What this means is that when the card is under 55 degrees celsisu, the fans won’t even kick in. Instead the heat pipes on the card (as well as the cooling in your PC) are passively cooling the card. This helps to keep the system as a whole much quieter. Asus even report that when the fans do kick in, they’re so quiet you’ll barely hear them. With its various input choices (display port, HDMI, VGA), you’ll be able to hook the card up to a wide range of monitors of your choice based on connection type. It also has SLI connectivity as an option, and it would be cheaper to get two GTX 960s than a single GTX 970. With the Asus GTX 960, it’s really going to let you play your games at high settings at 1080p resolution with a solid frame rate even with games like GTA V. The latest prices in the USA can be found here, for the UK you can find them here, and here for those in Canada. For those that are on ‘Team Red’ and prefer the offerings from AMD, there’s actually quite a few, great mid-range GPUs. To start our list from this point of view on the best mid-range GPUs in 2015, honourable mention goes to the MSI AMD R7 370. This card boasts 4 GB of DDR5 Ram, and as with other MSI cards, it also has the awesome Twin Frozr V cooling solution, ensuring that the card is kept at optimal temperatures at all times. Like its Nvidia counterparts, it has DVI and HDMI output options to suit your monitor of choice. A lot of people even suggested that you can game pretty well on mid to high settings on GTA V at a FPS of 40 which is also helped by its memory being clocked at 1400 MHz. This is seriously impressive for a mid-range GPU, and would make a great Christmas present. You can get this in the USA, the UK and also in Canada. To top off the list of the best mid-range GPU’s for Christmas 2015, I’ve opted for the R9 380 from Sapphire. This beast has 4GB of DDR5 Ram which is rated at 1425 MHz, along with the card itself being clocked at 970 MHz. To keep things running smoothly Sapphire has implemented their patented dual cooling technology to ensure that the card is kept at a great temperature for running games. As with other GPU’s on the list, many customers are reporting that they’re getting great results in GTA V with this GPU. It’s not just GTA V though, other customers are also claiming that they’re seeing impressive visuals and a great FPS rate with Witcher 3 as well. You can read more about the USA version here, the UK version here and the Canadian version here. I hope you’ve enjoyed this rundown of the best mid-range GPUs for Christmas 2015, and that it gives you some inspiration when you’re carrying out your Christmas shopping.